Less stressful planning, lower costs and increased frequency make shorter getaways a smart way to vacation, according to these experts. With Labor Day in the rearview mirror and fall right around the corner, it really feels like summer — and vacation season — is coming to a close. For many, summer is the time for a much-needed break from the nine-to-five grind, which not only boosts productivity when you’re back at the office, but also helps maintain a healthy mental state and prevents burnout. But if you haven’t gotten around to taking a vacation yet, that doesn’t mean you’ve missed the window to plan a getaway to disconnect and relax. Who says you need to cash in all your vacation days at once? In fact, according to experts, it seems that taking short vacations throughout the year may be more beneficial to your mental well-being than taking one long vacation. Jonathan Alpert, a Manhattan-based psychotherapist, executive performance coach and author of “Be Fearless: Change Your Life in 28 Days,” says a short vacation can be anything from a long weekend to a few days off in the middle of the workweek. And from a well-being perspective, these mini breaks work wonders because you won’t run into many of the issues that typically come up with planning longer trips. Alpert makes the case that taking one long trip is similar to binge sleeping. When you don’t get enough sleep during the week, it’s tempting to use the weekend to make up for all those lost hours. And while you may feel well rested afterwards, binge sleeping doesn’t provide the same health benefits as getting a full eight hours of shuteye every day. The same idea can be applied to vacations: Taking one long trip may feel great when you do it, but the happiness boost is short-lived, so taking multiple shorter trips throughout the year allows for a handful of opportunities to get into that vacation mindset. Past research has suggested that eight days may be the ideal length of a vacation to maximize relaxation — with happiness peaking after this amount of time away. But a vacation of this length also comes with its drawbacks. You’re likely using up a large chunk of your paid time off (if you are even able to get away for this long), not to mention the expense of a trip of this length and the mountain of work that's likely piled up upon your return. It seems many agree: Weekend trips are becoming increasingly popular. 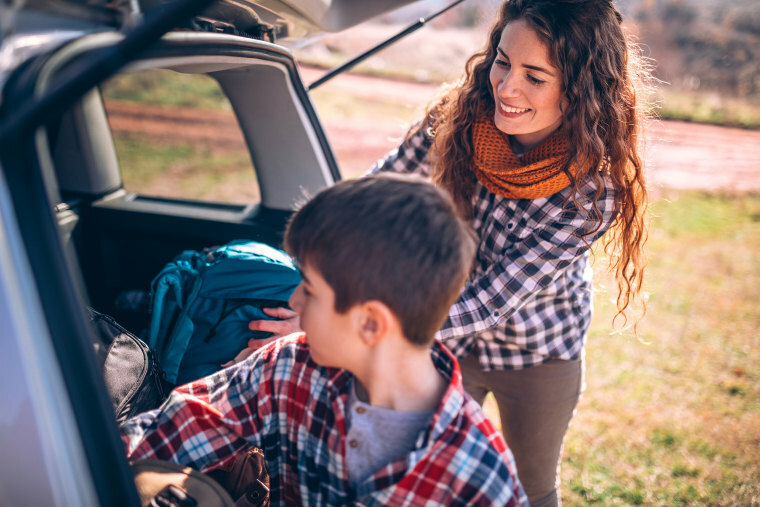 At the end of last 2017, Enterprise Rent-A-Car surveyed 1,000 Americans ages 25 and up and found that 85 percent of them planned to take weekend trips in 2018. This number is up seven percent from the previous year, illustrating a growing interest in escaping from the daily grind on a more frequent basis. Nearly half the people surveyed cited stress as a top reason for wanting to take a weekend trip. But the most striking conclusion from the survey is that almost everyone said they wanted a “true escape” — no checking emails, no scrolling through social media and no reading or watching the news. According to Alpert, taking short trips throughout the year may be the most realistic way to accomplish this. So for those who have yet to plan a well-deserved break, here’s why you should consider using what’s left of your PTO to take a few long weekend trips before the year is out. Planning a long vacation is bound to be stressful. According to a 2018 survey by Project: Time Off, the logistical hassles of traveling often deter people from taking vacations, but with a three- to four-day trip, the logistics become much simpler. You can be more spontaneous, and since you don’t have time to travel too far from home, you can drive to your destination instead of having to worry about booking flights months in advance. Another plus: no long flights, means no jet lag. On a shorter trip, you won’t be expecting an inbox full of emails to check when you get back, so it’s easier to let go and unwind. The survey also shows that heavy workloads and a fear of looking replaceable at work discourage people from taking days off. “If you’re away for 10 days, sometimes it can take people a few days to get out of the work mode and settle into vacation mode,” Alpert says. “What I also find with a lot of my clients is that, a day or two before the vacation is set to end, they start to get really stressed about going back to work.” On a shorter trip, you won’t be expecting an inbox full of emails to check when you get back, so it’s easier to let go and unwind on your vacation. One of the biggest perks of a short vacation is that it’s cheaper than a longer one. You won’t have to pay for an expensive flight or multiple nights at a hotel. Alpert says he actually started suggesting smaller vacations to his clients in 2008 when money was an issue during the Great Recession. Whether we admit it or not, many of us are addicted to our devices, with the average person touching their phone 80 times a day, according to recent research — and it's affecting our health. Studies show that the light waves from our phones and tablets throw our body’s internal clock out of whack, disrupting our sleep. Another study conducted by Harvard Business Review found that the use of Facebook was negatively associated with overall well-being, specifically our mental health. Going on a short digital detox from time to time can help you combat the harmful effects. A recent study published in The Journal of Social Psychology found that those who stayed off Facebook for just five days exhibited lower levels of the stress hormone cortisol than those who didn’t. If you spend all your vacation days on a two-week summer trip, you’ll be left with 50 weeks of work without a break. But if you take multiple short trips throughout the year, you’ll have many getaways to look forward to and you’ll be more motivated to work harder when you’re at the office. A study published in the journal Applied Research in Quality of Life found that the biggest boost in happiness associated with a vacation comes during the anticipation of the trip, which was shown to increase happiness for 8 weeks prior. (One study found that happiness makes you 12 percent more productive, so the excitement of an upcoming trip may even help you churn out more work).